Fly into battle and relive the epic adventure From how to train your Dragon: the hidden world with Dragon and Viking figure sets! Each fully pose able figure features amazingly detailed sculpting and looks just like the movie character. The snout figure is suited up with Dragon scale armour and wields a removable spiked hammer. His loyal Dragon, hookfang, is ready to swoop and attack with an exciting launching feature. 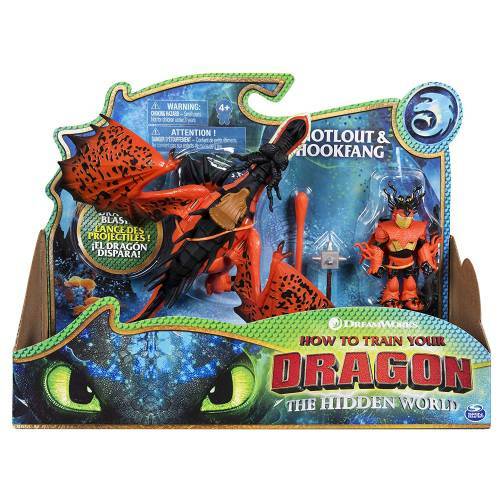 Load the Dragon blast projectile into hookfang’s mouth and pull back his left leg to fire! Look for your favourite heroic Dragons and riders to add to your collection! 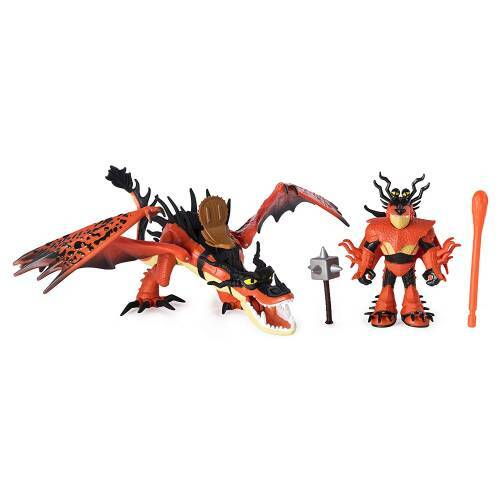 The DreamWorks Dragons Dragon & Viking figure sets are a great gift for kids and dragon Trainers. Together you can save the day!